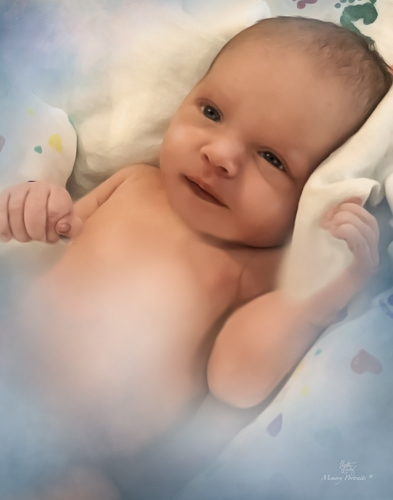 Addison Grace was born at 10:26 AM at West Penn Hospital on March 30, 2019 with a rare condition of gastroschisis. Addison was 7 pounds, 19.25 inches. She passed away at Children’s Hospital of Pittsburgh on Sunday, April 7, 2019. “You stole our hearts and completed our world.” So much love! We feel so blessed to have shared your life. Devastated that you were taken so soon. Cherished daughter of Andrew and Tiffany Couch-Gagliardi; well-loved granddaughter of Terri and Al Gagliardi of Rostraver Twp., Tom and Judy Couch of New Brighton; great granddaughter of Albert Gagliardi, Donna Park both of Mononogahela, and Rose Smith of Beaver; niece of Emily and Ashly Gagliardi of Rostrevor Twp. and T.J. Couch of Ambridge. Visitation Friday 2-4, 6-9 at Copeland’s Moon Township, 981 Brodhead Rd. Prayers will be offered by Pastor Michael Hough in the evening. Etched in our hearts, we will always love you and always miss you. Please keep us in prayer. The family would like to thank all the staff at both West Penn Hospital and Children’s Hospital for their tender loving care.